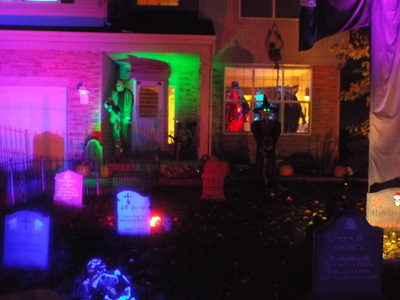 Holiday Habits is a haunt that has been on our list for some time now. However, we always wind up not being able to visit for one reason or another. This year, however, we made a point of dropping by. 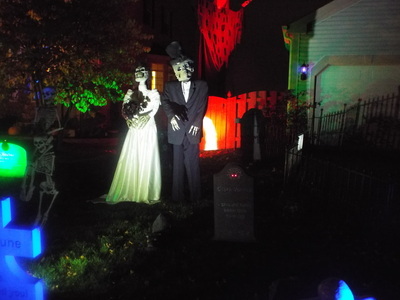 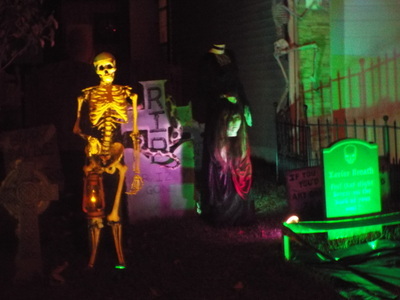 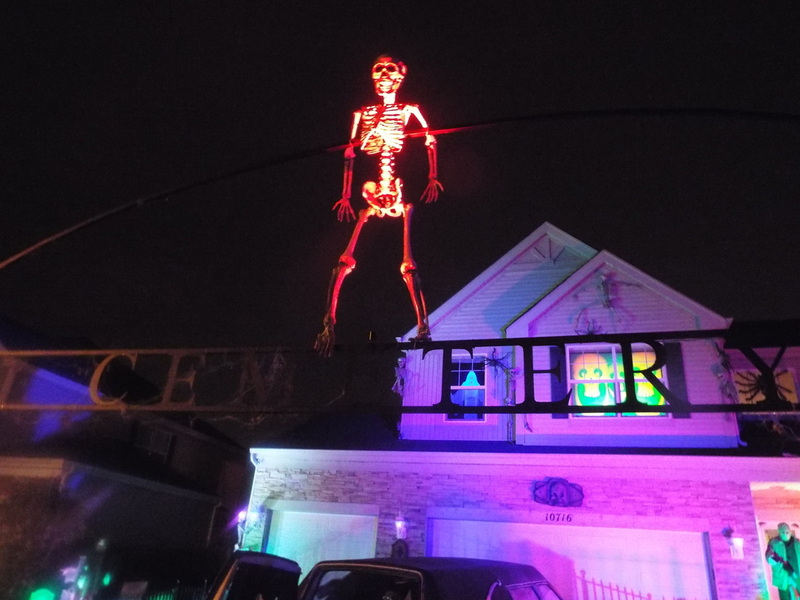 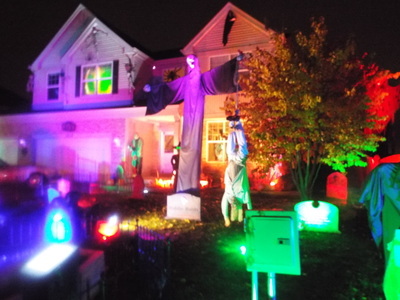 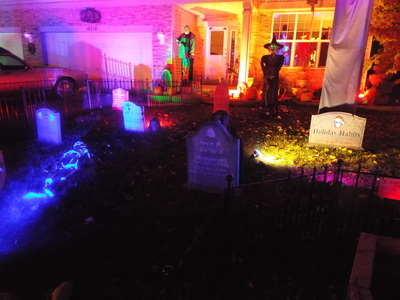 The display is set on the rather expansive front lawn of the owner's property, and visitors are greeted by an large cemetery sign that hangs over the driveway. 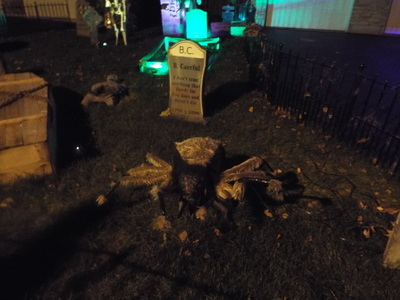 Along with side of this sign are various props, both large and small, including numerous animatronic props that pop out as visitors walk by. There are also many tombstones, all of the hand designed, dotting the landscape. 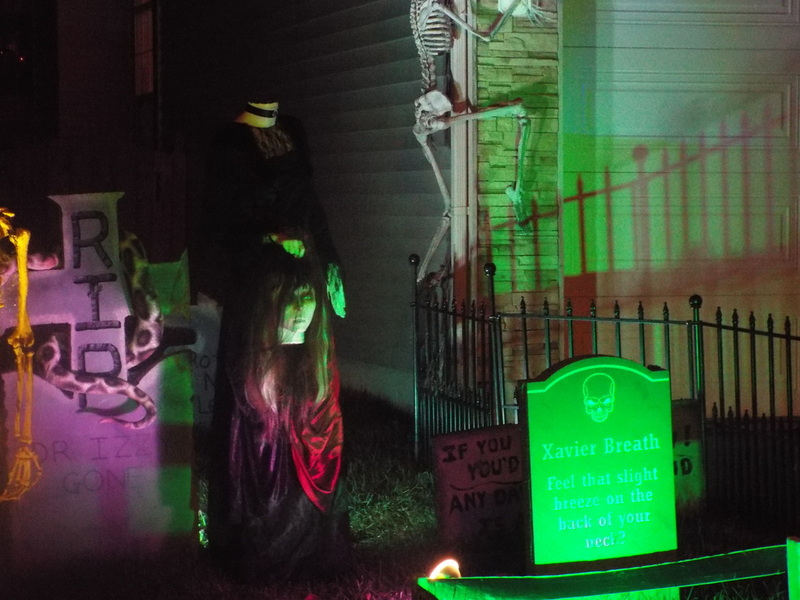 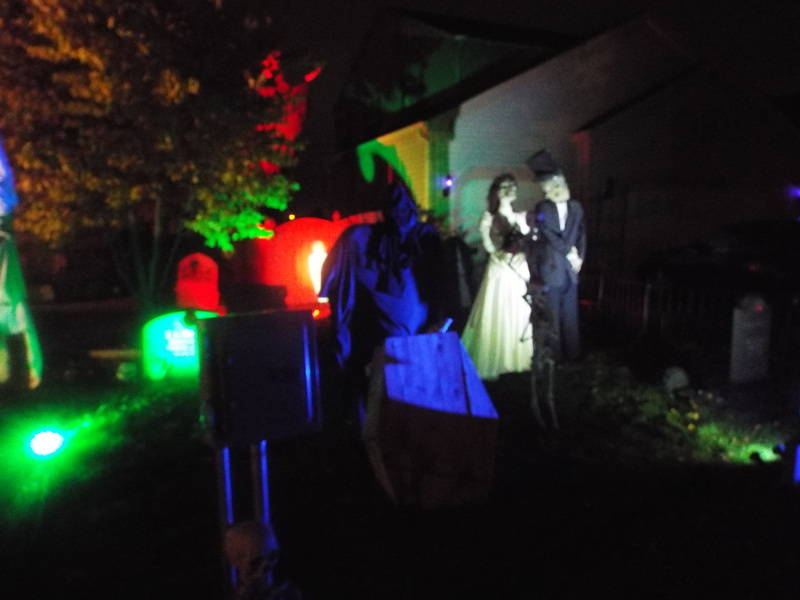 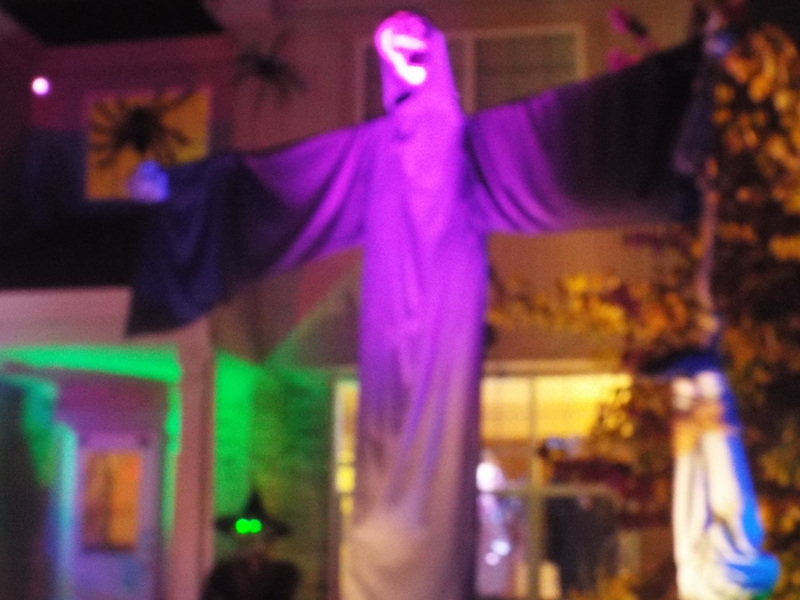 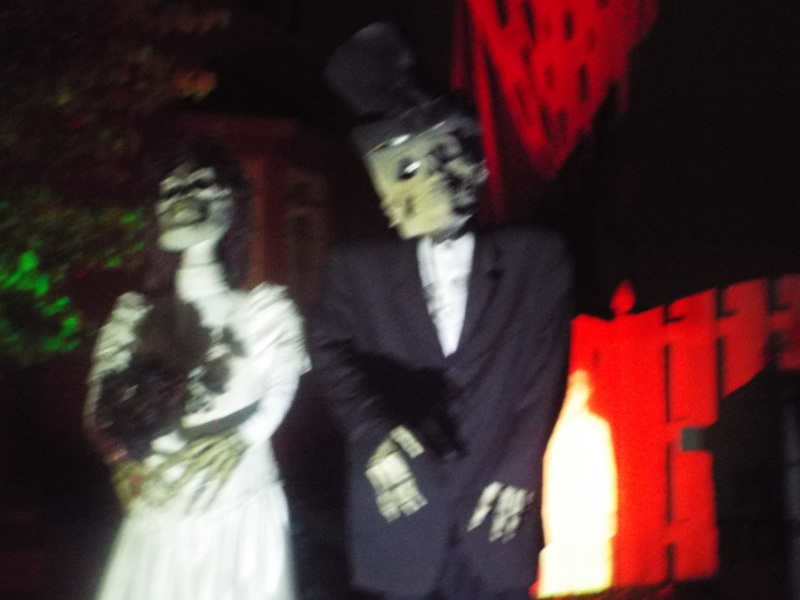 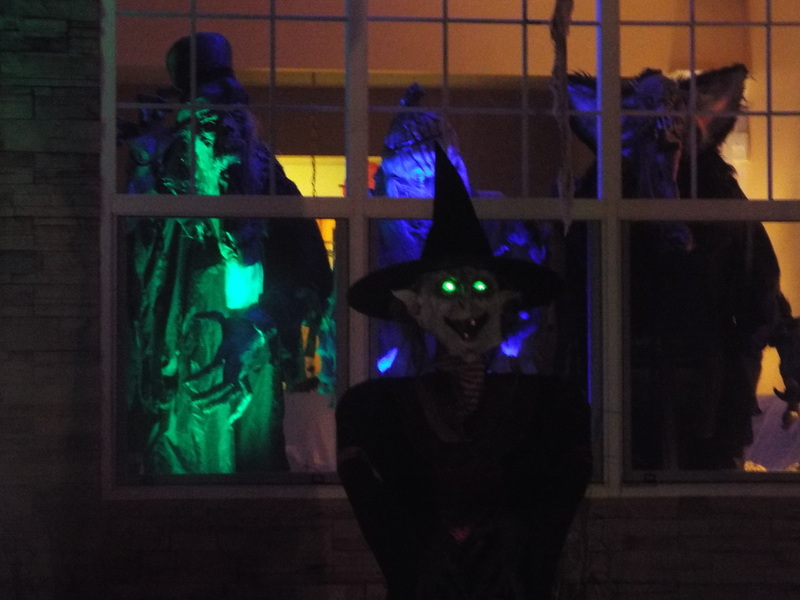 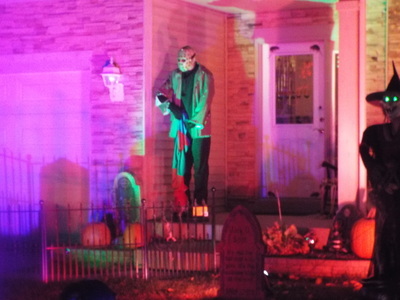 They are very well crafted, and some even have messages on either side so that trick or treaters have something to look at when they are walking to and from the house. 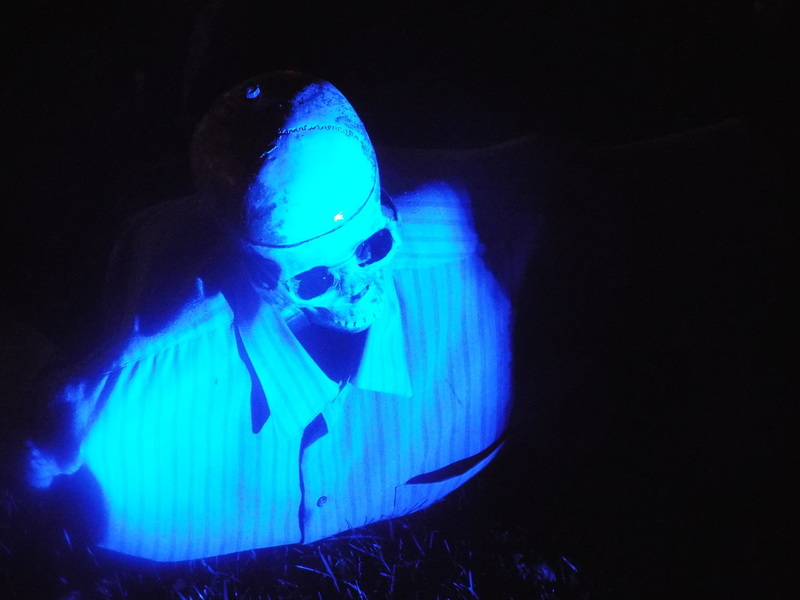 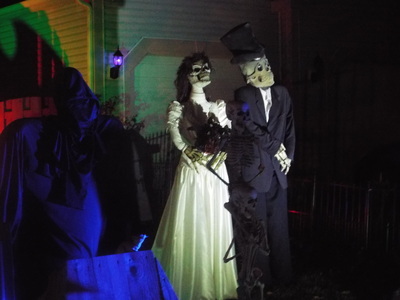 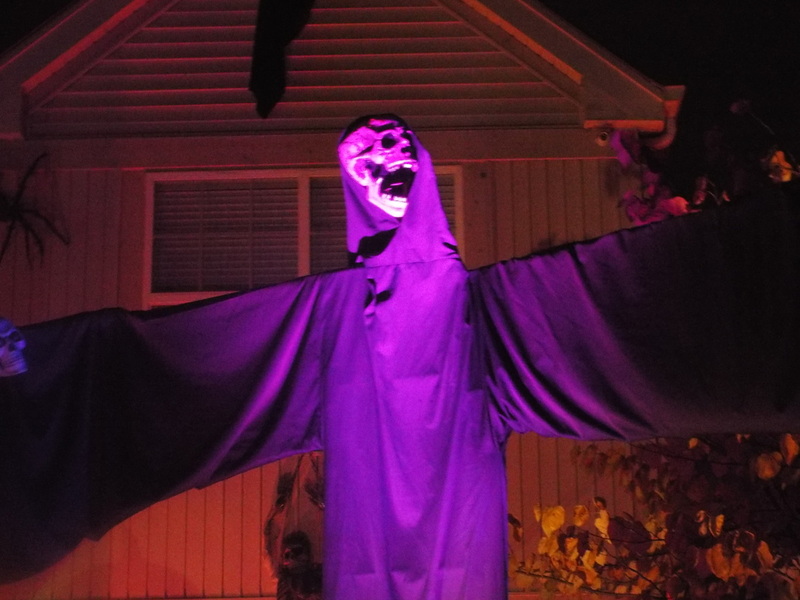 As we often say here at Horror Tourers, one of the things we like the most is creativity in haunt setups. 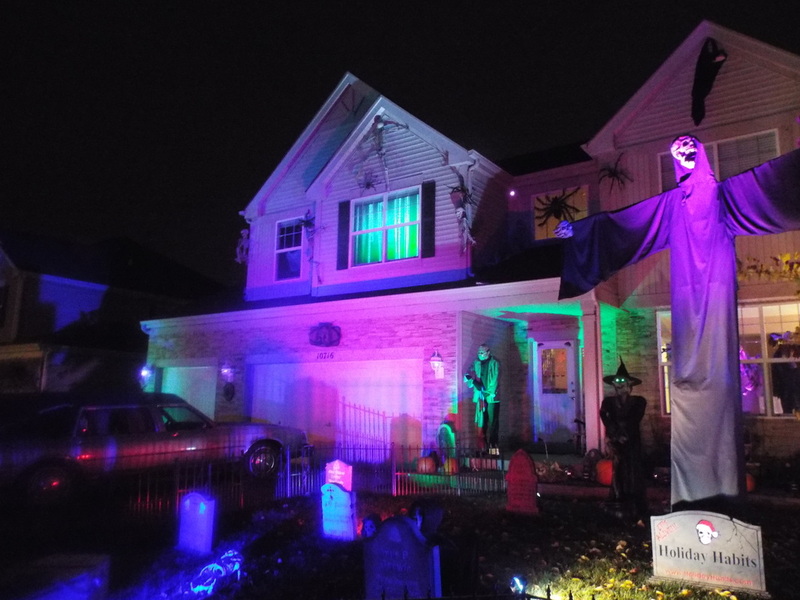 It only needs one creative thing to move a haunt from mediocre to excellent. 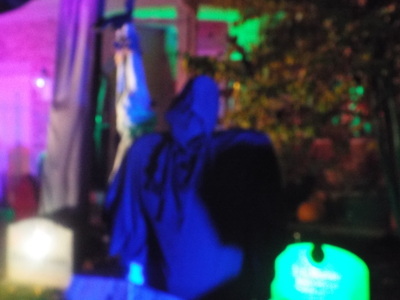 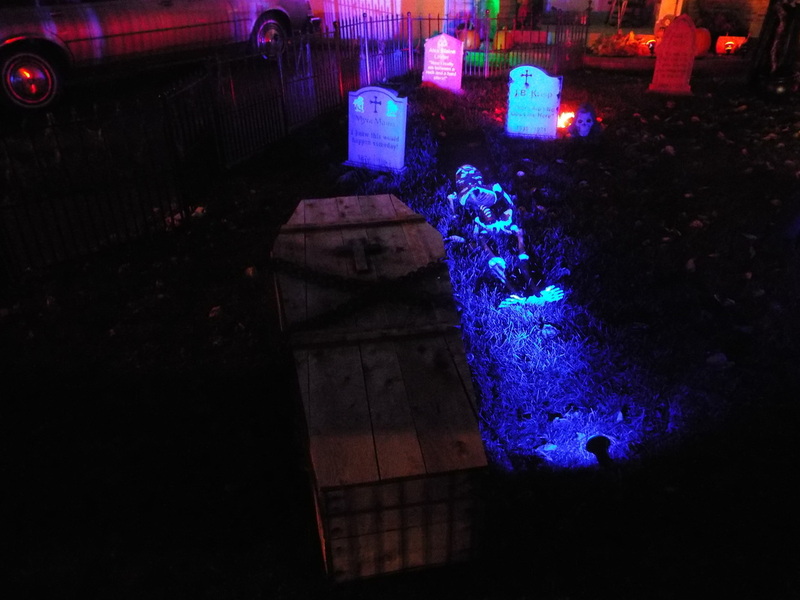 Holiday Haunts has several things that make it stand out, which makes for a better experience overall. 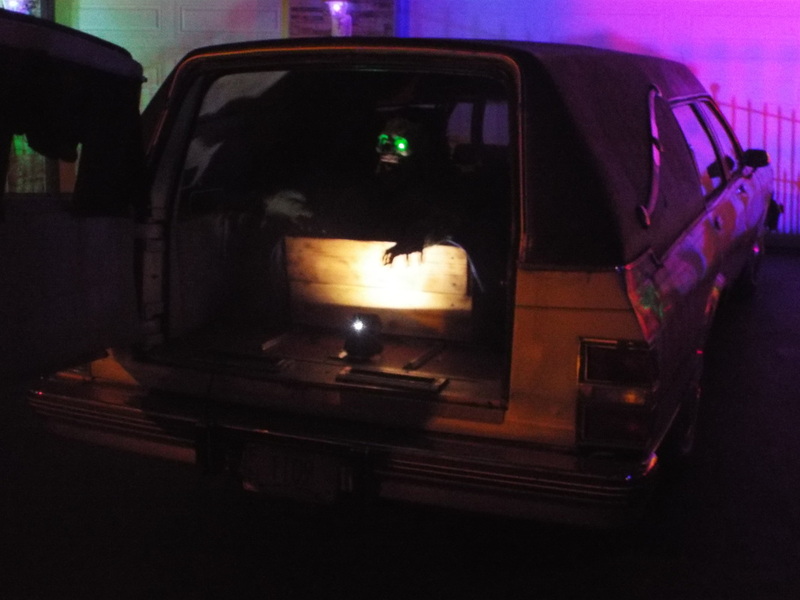 First off, there is a hearse in the driveway. While we've seen hearses at other displays, this one has a moving zombie that tries to crawl out at visitors when they get too close - a nice extra touch. Also, there is a giant video playing on one of the upper windows of the house. Again, we've seen these before, but this one is custom made form various DVDs to create an unique experience as opposed to the more typical ghosts or spirits that one sees playing on such videos. And speaking of videos, our favorite thing at Holiday Habits is something you need to look closely at to realize it's not real. 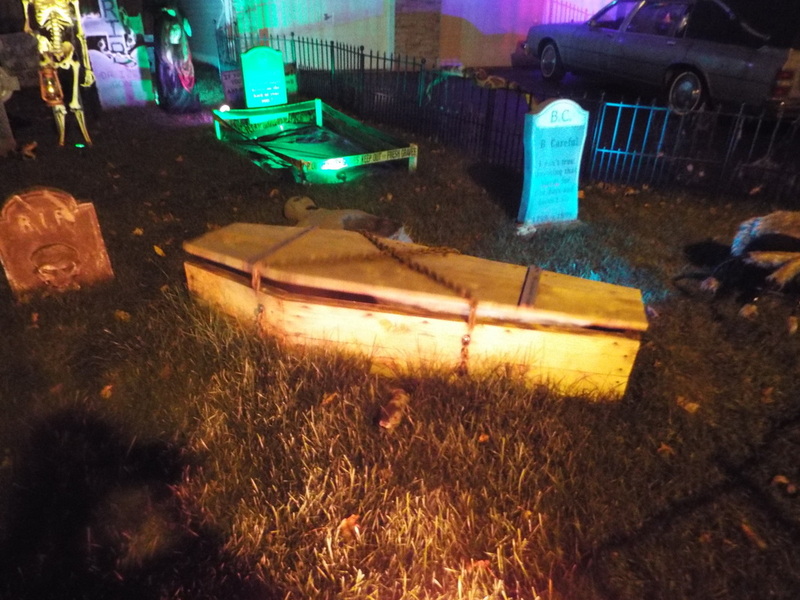 Behind one of the tombstones on the right side of the display there is a large wooden fence. 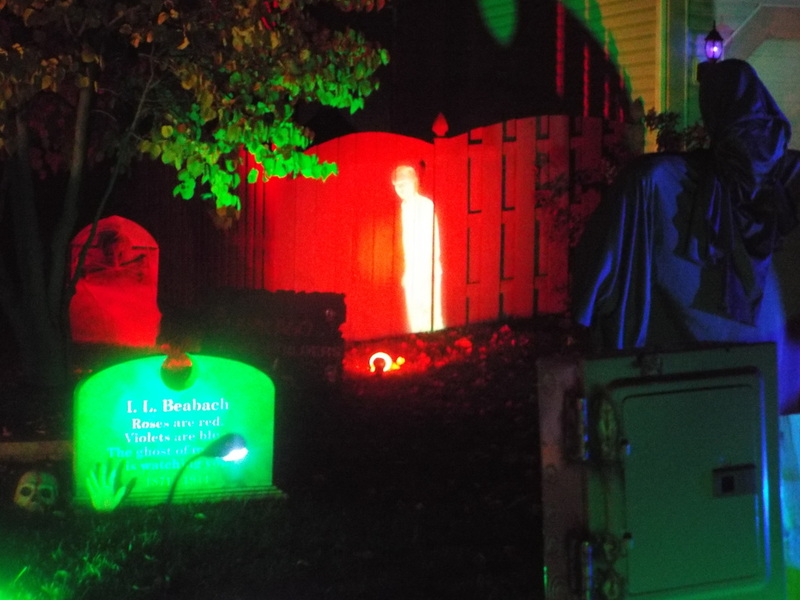 Periodically, the spectral image of a little boy rises and walks along the fence. He is quite detailed, and he even stops and peers out at visitors from his place along the fence line. 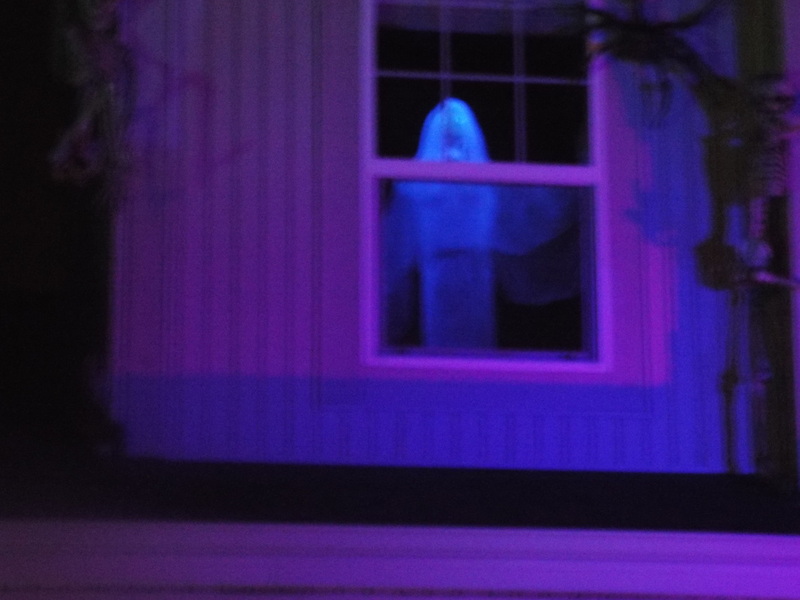 As with the window projection, this is a custom video that was made and tweaked to fit into the setup. 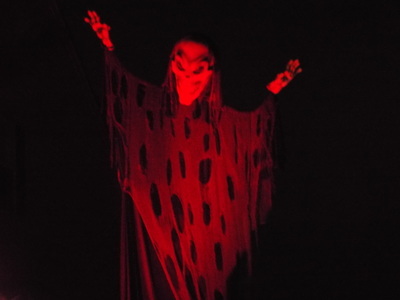 What sets it apart is its realism and subject - while most videos of this type show bugs or bats or cats, for example, this one shows a real boy, and he really does look like a ghost. 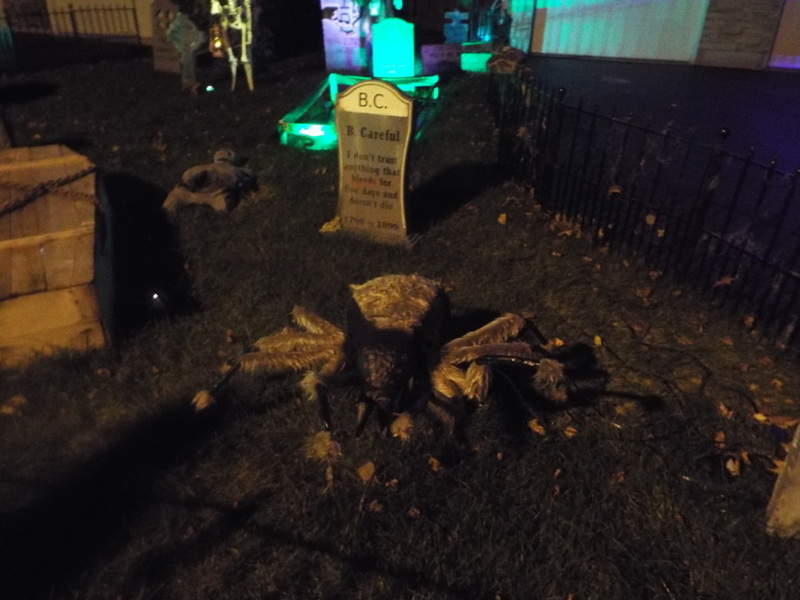 IF you happen to see it out of the corner of your eye you will do a double take! 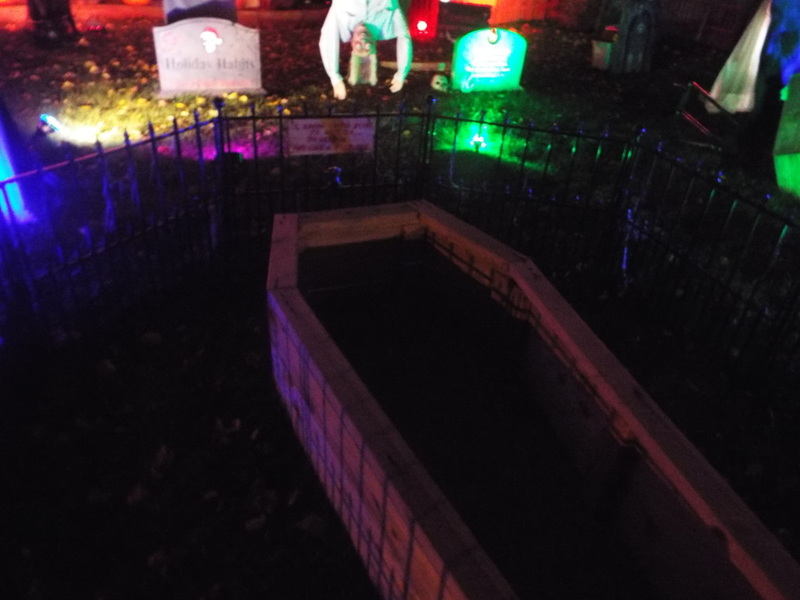 Overall, we enjoyed our first visit to Holiday Habits and look forward to seeing it again in the future. It's large and varied, and has enough to entertain both kids and adults. It's also not too gory or scary, so it's fun for the whole family!